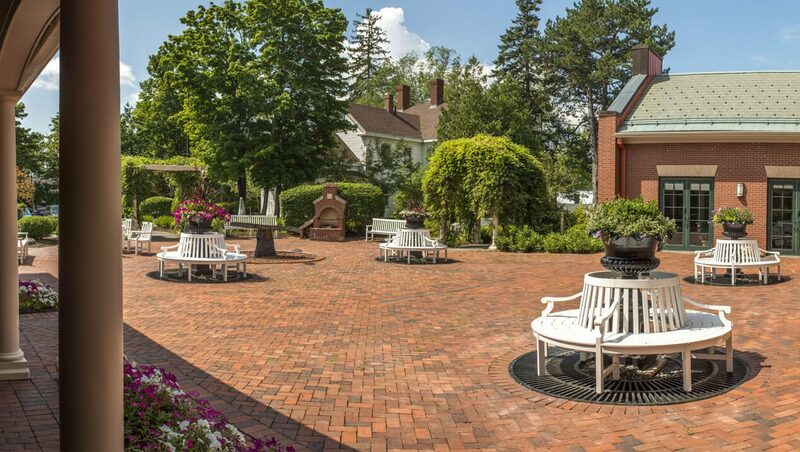 The spacious south side courtyard and accompanying gardens of Buchanan Alumni House are an integral part of the overall design of this home for alumni and friends. With new items frequently added, the area is a work in progress. The courtyard unfolds from the building into a variety of named gardens, including the Hummingbird Garden and the Lily Garden. Numerous, carefully sited sculptures, primarily by Maine artists, can be seen throughout, with a striking fountain-sculpture in the courtyard center. Look for explanatory plaques, a number of which indicate a memorial gift. The gardens and courtyard can be accessed from nearby parking lots as well as from inside the building.